I have a much happier photo for my 4th day of the ‘5 Day B&W Photo Challenge’. Still in Italy, and on our first morning in Florence, we had a guided walk around the ‘City of the Flowers’. 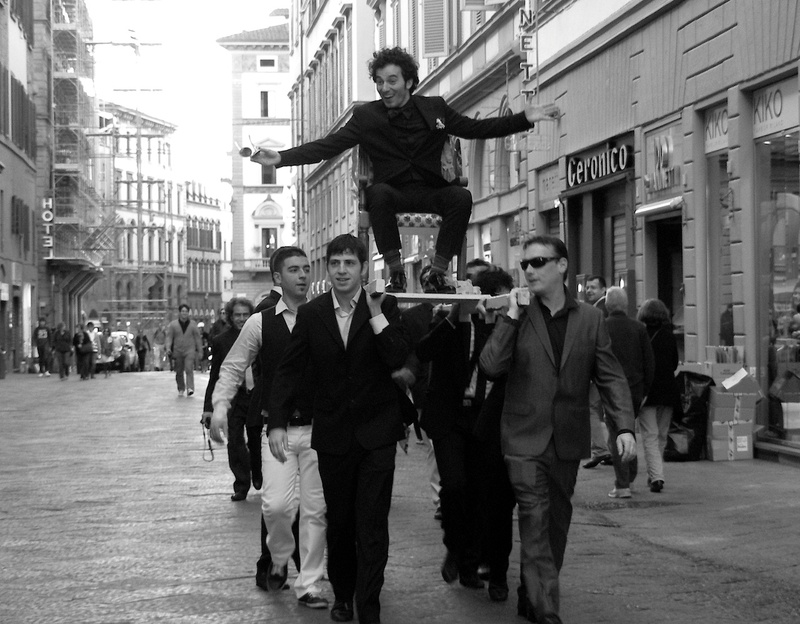 As we emerged into the Via dei Calzaiuoli, we were both amused and delighted to see this exuberant bridegroom-to-be, being transported to his wedding by his enthusiastic groomsmen. I think this image looks so much better in monochrome, as the background and other people just seem to fade away, leaving the main characters as the focus of attention. Thanks Issy of Isadora Art and Photography for asking me to take part in the 5 Day B&W Photo Challenge.